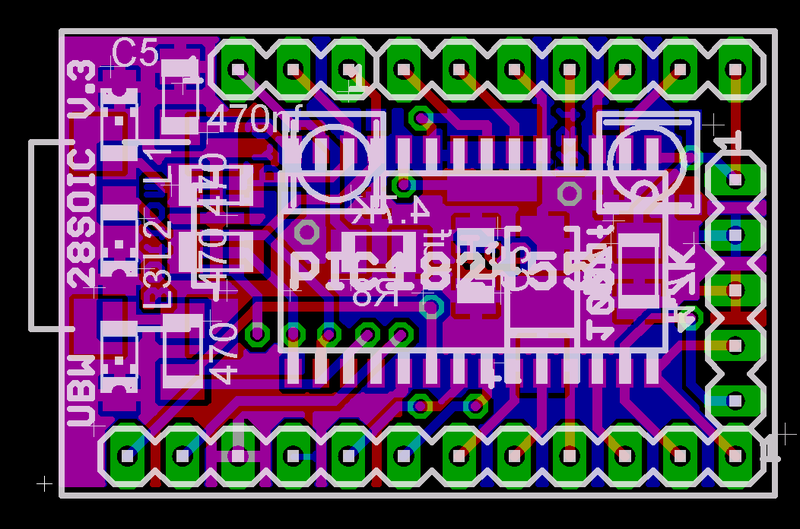 This was the first version of the board that used the 28 Pin SOIC version of the PIC. Why is it called version 3 then? I guess that I just forgot to change the version number when started with the 28 DIP V3 design and changed it to use the SOIC part. It should have been called V1, but big deal. 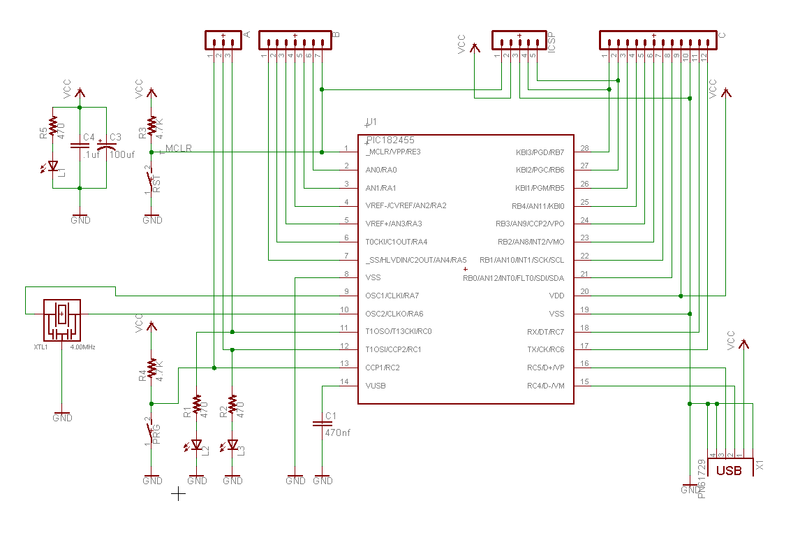 So this version uses the SOIC part. It's a cute little design, except for two really big problems. One is that the buttons and LEDs are on opposite sides of the board. You really need them all to be on the same side. The second problem is that the buttons are really, really tiny. So tiny that it's hard to push them with your finger, and really hard to solder them down. 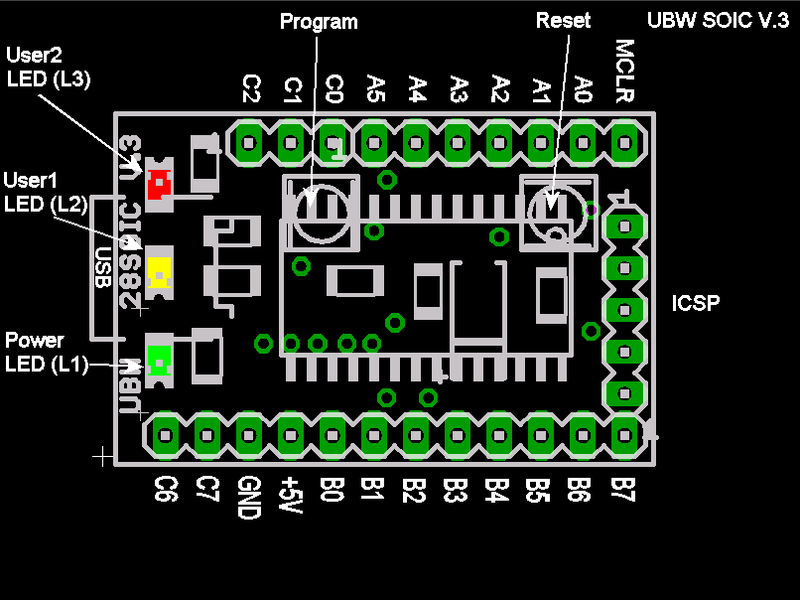 So both things got improved with version 4 of the SOIC design. If you build this version, or somehow get a board of this version, you have to decide where to put the header pins. 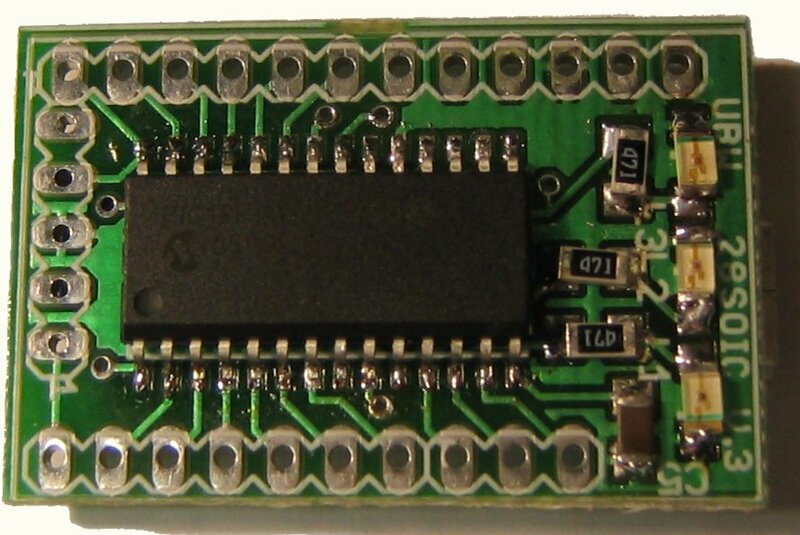 On the left hand picture above, you see the 'front' of the board, without any headers attached. On the right is the 'back' of the board, with headers going down into the breadboard. You'll have access to either the switches, or the LEDs, but not both. 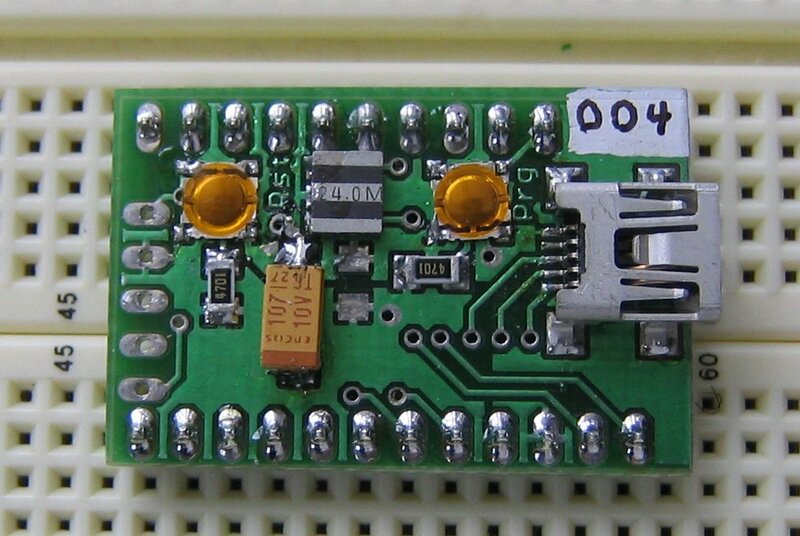 You can, however, attached a 90degree header along the side of the board, (port B side) and then plug the board vertically into the breadboard. You'll get access to both the swtiches and the LEDs that way, but you coudn't access all of the I/O lines.